The two rhinos, one of which was pregnant, were shot dead and their horns hacked off by poachers on a full moon night, underlining the crisis that threatens the species. 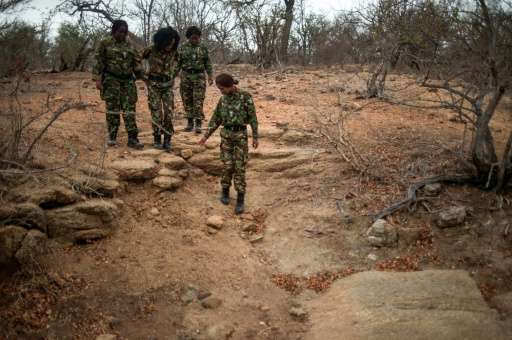 The Black Mambas are made up of 36 unarmed female rangers, aged from 19 to 33, based at the Balule Game Reserve in Limpopo province on the edge of Kruger National Park. 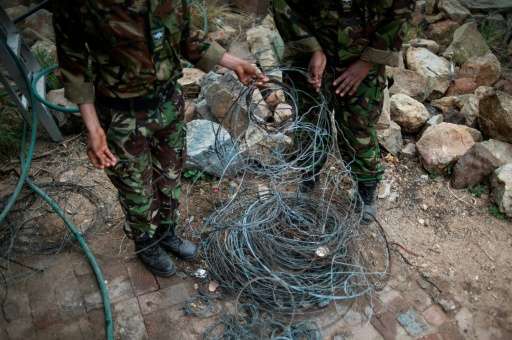 They have been feted worldwide as a mould-breaking experiment that has successfully helped to tackle poaching through foot patrols, intelligence gathering and community awareness work. But the insatiable appetite for rhino horn in Vietnam and China has fuelled record killing in Africa, and the Black Mambas are struggling under growing pressure. "It was so horrible. It feels like our fault," Collet Ngobeni, 32, who has been with the team since they were founded, told AFP. "We need to be more prepared. Three rhinos (including the unborn calf) means a lot. "There are greedy people about who don't think of the future." 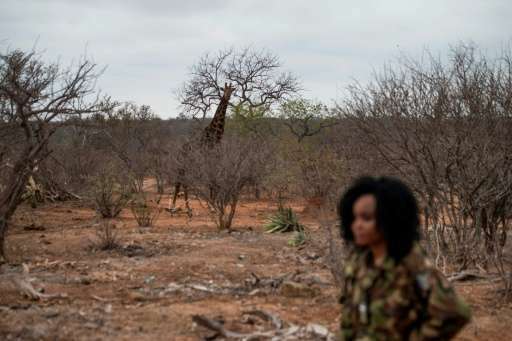 The recent deaths in Balule were in a remote area where rhinos rarely roam and had never been targeted by poachers before, so it was not covered by a regular patrol. The Black Mambas—named after a venomous snake—won the UN "Champions of the Earth" award last year, which Ngobeni travelled to New York to collect in a blaze of publicity. And they have been singled out for praise at the Convention on International Trade in Endangered Species (CITES) conference currently underway in Johannesburg. But Ngobeni is frustrated by a lack of resources that she believes is holding the team back. "All the attention has not been translated into help," she said. "If we step back, the poachers come again. Our vehicles are often broken down and we don't have enough equipment. "To go forward, we need more training, more money and more people." 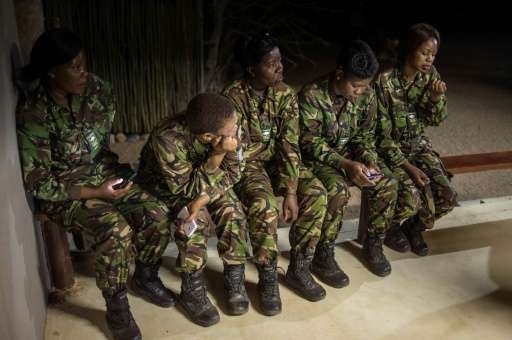 Members of the Black Mambas are paid by the government, earning a take-home monthly pay of between 3,000 and 3,500 rand ($220 to $255)—a low salary even by South African standards. After 21 days of back-to-back shifts, they get 10 days off to visit their families and children. When at work, they live next to their patrol base at Olifants West in a small cluster of huts that are each shared by three or four people. The compound has no running water as the borehole has run dry, and there is no television or internet. "Other women do want to join us, but we need more funding," said Felicia Mogakane, 28, a mother of two sons, aged five and one-and-a-half. "If you really want to protect the animals you must have the people to do the hard work, to check the fence every day. "If we are not out on patrol, poachers notice that. There are difficult circumstances, but I do still love it." Rhino horn is trafficked to east Asia where it is deemed to be a miracle cure for everything from cancer to lack of virility—and demand is soaring. In 2008, less than 100 were poached, but numbers have rocketed alarmingly since as illegal trafficking networks channel rhino horn from Africa to overseas markets. Last year, a record 1,342 rhinos were poached in Africa, according to a count before the CITES meeting, with nearly 1,200 of them killed in South Africa alone. "The Black Mambas have brought crucial attention to the rhino crisis," said Pitso Mojapelo, project manager at the Department of Environmental Affairs. "We pay their salaries, and hope other donors will be able to come in to support their work further. "They have really proven themselves and we would like to duplicate the idea elsewhere." The CITES conference has seen heated debate on controversial plans to legalise rhino horn trade, with some campaigners saying that providing a legal supply of farmed horn is the only way to end poaching.